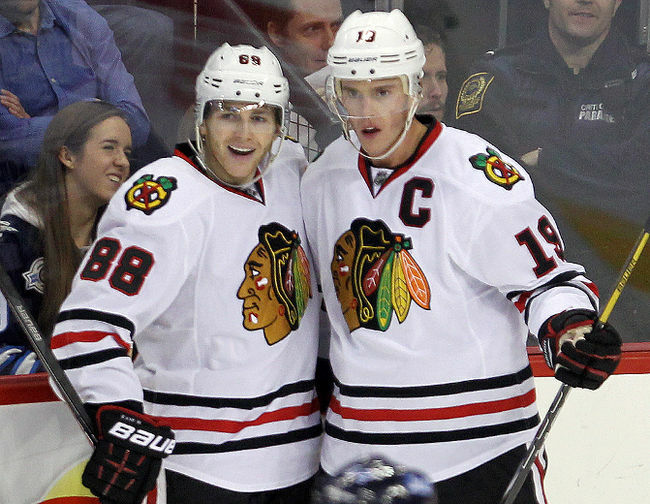 The 2010’s have seen a resurgence for the Chicago Blackhawks. The Blackhawks are one of the National Hockey League’s “Original Six” franchises, and in this decade they have hoisted the Stanley Cup three times with players such as right winger Patrick Kane and center Jonathan Toews leading the way. Each of the last nine years have seen the Blackhawks reach the playoffs; however things are a bit different on the ice in the Windy City during the 2017-2018 NHL season. The Blackhawks began this season quickly with a 4-1-1 start which included a 10-1 blowout victory over the defending Stanley Cup Champions in the Pittsburgh Penguins as another trip to the playoffs appeared to be on the horizon. However Chicago has been stuck in the mud as they’ve lost eight games in a row as well as 12 of their last 14 overall. Since December 21, Chicago has been shut out four times, while on their current eight-game losing streak, they’ve been unable to produce more than three goals in any contest. The Blackhawks now find themselves in the basement of the Central Division. And with Chicago 11 points behind the Anaheim Ducks for the final wild card spot in the Western Conference, another trip to the postseason doesn’t appear to be in the works for them when the spring rolls around. Joel Quenneville is in his ninth full season as the head coach of the Blackhawks and by far this has been his most difficult campaign. Chicago has been dealing with some injuries this season which has been highlighted by goalie Corey Crawford being out of action since December 23. Crawford has been on the injured reserve with a concussion and there is still no timetable for his return. Crawford has been an important member to the recent success of the Blackhawks as he was between the pipes for each of the team’s Stanley Cup triumphs this decade. But in Crawford’s absence the combination of goalies Anton Forsberg and Jeff Glass are 7-13-3. Aside from being without Crawford, the Blackhawks have also been without the services of right winger Marian Hossa for the entire season. Hossa has been out of action this season as he is undergoing treatment for a skin disorder. And what the Blackhawks are missing with not having the services of Hossa is a player that has scored 525 career goals which is 35th all-tine in National Hockey League history. The law firm of Kane and Toews are once again having solid campaigns as Kane is on pace to tally at least 30 goals in a season for the third time in his career, while Toews is set to record 30 assists for the fifth consecutive year. However the offense around Toews and Kane has struggled this year as Chicago is 21st in the National Hockey League in goals per game (2.79) compared to when they were ninth in the league last season at 2.93 per contest. Last season the Blackhawks had six players score at least 20 goals which was led by Kane’s 34. This season so far Chicago only has two players that have scored at least 20 goals and with the current struggles of their offense, it will be a reach for this team to match its production from last season. And if the Blackhawks issues on offense aren’t troubling enough, they are tied for 19th in the NHL in power play goals with 34. But even with that it is hard for any team to maintain the recent success that the Blackhawks have had as everything appears to be closing in around them. Teams in the Western Conference such as the Nashville Predators and St. Louis Blues have closed the gap on Chicago, while nobody could have expected everything to come together so quickly for the Vegas Golden Knights. However even with that you have to wonder if Quenneville’s message is still getting across to his team? Nine years at the helm is a long time for any head coach in any sport. Quenneville’s 875 victories are second all-time to the 1,244 of Scotty Bowman. But once you factor in this season as well as the fact that the Blackhawks were bounced in the first round of the Stanley Cup Playoffs in each of the last the last two seasons, you have to wonder if team general manager Stan Bowman is ready to move on from Bowman? Bowman did make changes to Quenneville’s coaching staff following the Blackhawks first round exit from the playoffs last season which unofficially put Quenneville on notice as he might be running out rope. With roughly six weeks left in the regular season, the odds are long against the Blackhawks being able to sneak into the postseason, but they still have the opportunity to gain some momentum for themselves heading into the off-season. There is the possibility that Hossa could return as he is one of four players that is currently on injured reserve for Chicago as there only needs to be some slight tinkering in order to get this team back on track; especially on the offensive end of the ice. But it starts with Quenneville as you wonder if he still has enough cache to make Bowman believe that he can still get the job done in the Windy City? But hopefully for the sake of the Blackhawks, this season is just a mere blip on the radar and they’ll be able to get back on track.